The holidays are here, and we are in the mood to celebrate! 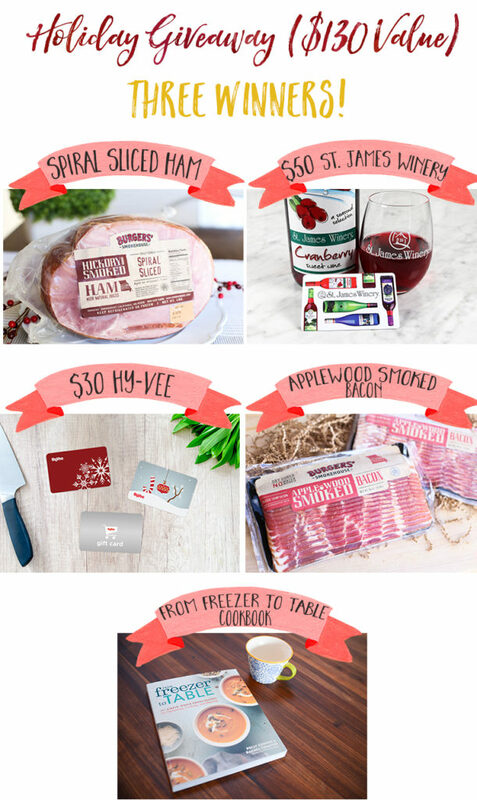 We’ve put together the perfect holiday menu plan for you, AND we’re giving away some of the goods so you can make it happen. In fact, THREE winners will take home the $130 grand prize. Giveaway details are towards the bottom of this post. 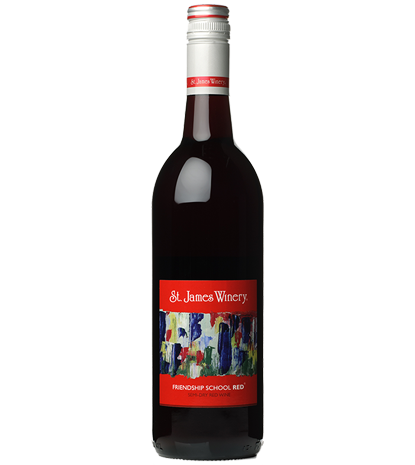 This post is created in partnership with St. James Winery and Burgers’ Smokehouse. If your mental load is pretty full during the holiday season (umm, whose isn’t?! ), you’re in for a treat. We’ve taken the brainwork out of planning the perfect holiday meal and have done it all for you. Each part of this 3 course meal compliments the other right down to the wine parings. The recipes are delicious, yet approachable. The ingredients are quality, yet affordable. The plan is simple, yet worthy of a holiday table setting. Not only is our Autumn Chopped Salad beautiful enough for a holiday table, but it’s also full of different flavors and textures. 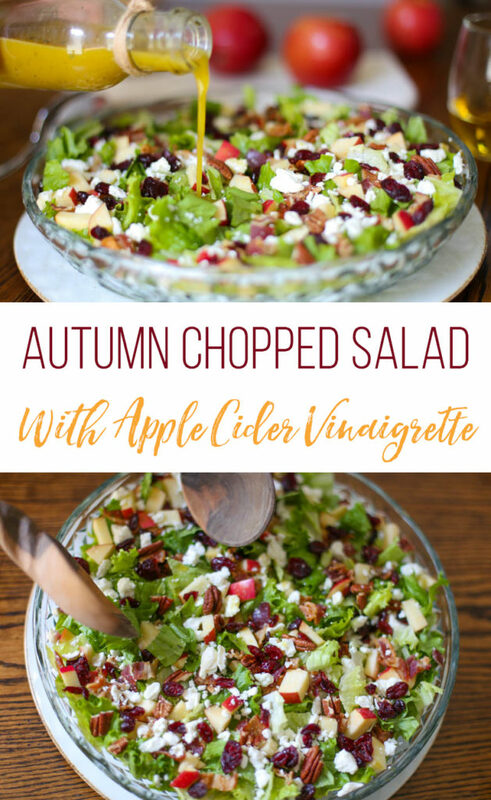 Top it off with our homemade Apple Cider Vinaigrette and you’ll see this salad disappear quickly! 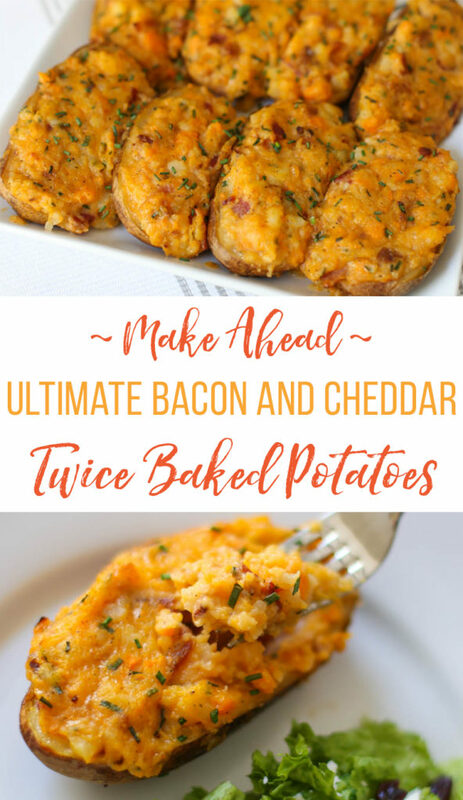 You can make these absolutely delicious Ultimate Bacon and Cheddar Twice Baked Potatoes ahead of time and store them in the refrigerator for up to 3 days or in the freezer for up to 3 months! Prep these in advance of a holiday, so you can focus on your loved ones the day of. Last, but certainly not least is the Holiday Ham with Cranberry-Orange Glaze. This ham recipe is a complete no-brainer and will result in a holiday centerpiece entree you can be proud of. It’s hard to beat the flavors going on in the Burgers’ Smokehouse Hickory Smoked Ham that we used. Try serving these three wines along with your holiday meal so that there is something for everyone. 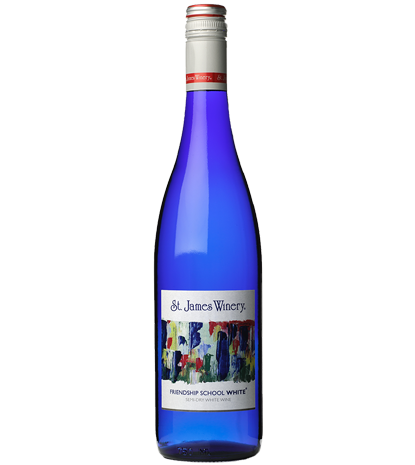 Festive, sweet, and slightly tart wine that’s used in the glaze on top of the ham. A highly-awarded wine, including two double golds and two contests where it scored over 90 points in 2018 alone. Now for the fun part: Our Holiday Giveaway! Our Burgers’ Smokehouse Hickory Smoked Ham recipe is a complete no-brainer and will result in a holiday centerpiece entree you can be proud of. It’s brine-cured and then aged and slow smoked over real hickory wood. Our families couldn’t get enough! 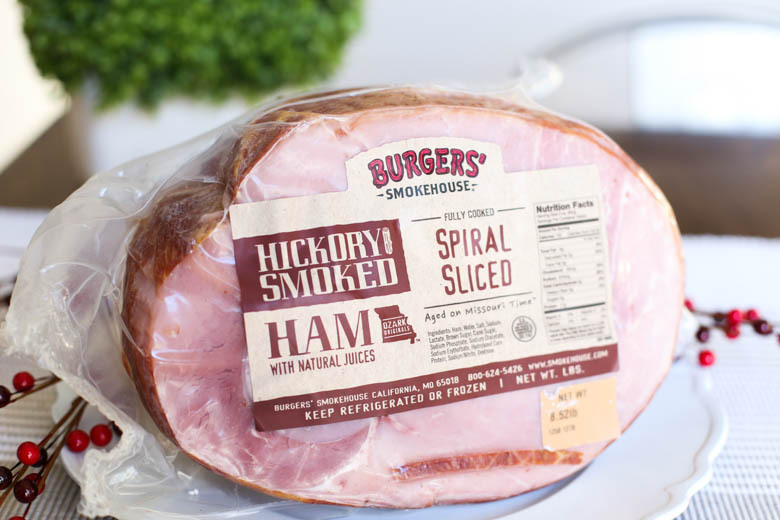 Look for this incredible ham at Hy-Vee or your local grocery store or order online. 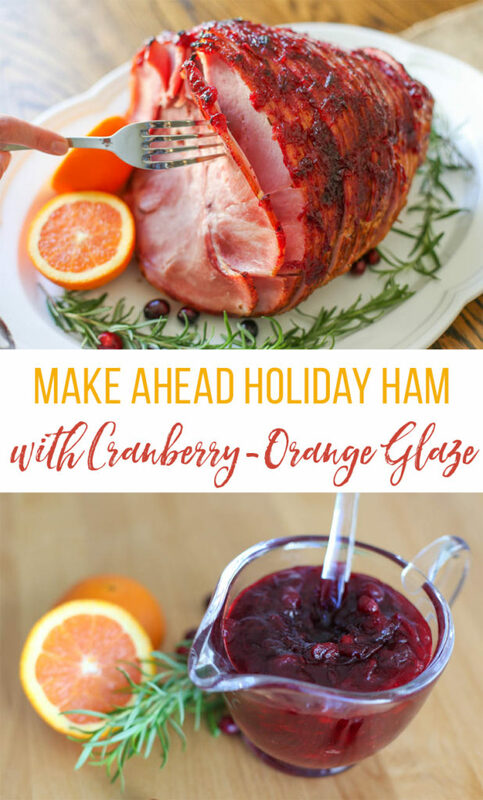 Serve the ham alongside the festive, sweet, and slightly tart St. James Cranberry Wine, which is featured in the glaze, for a perfect holiday combo. 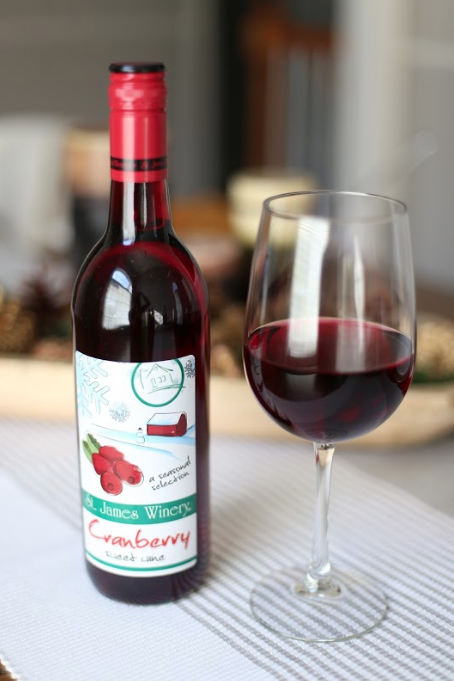 Or browse around their website for more wine ideas to add to your holiday table. 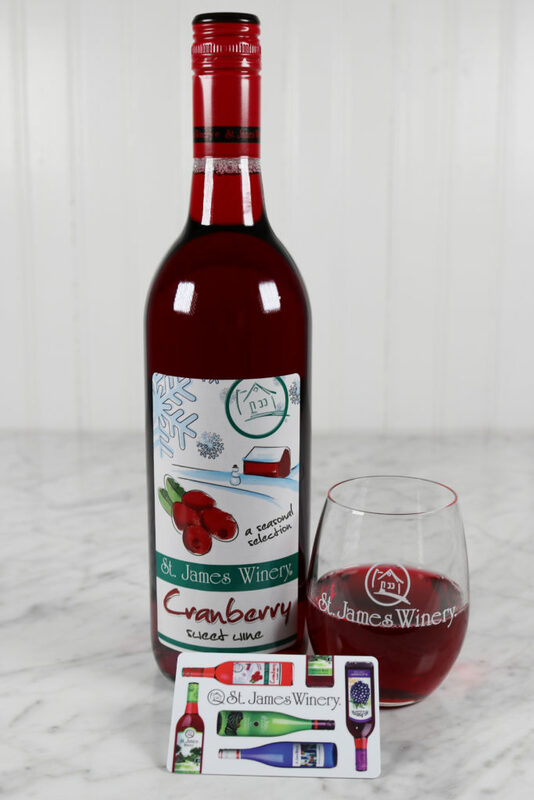 Look for Cranberry Wine at Hy-Vee or your local grocery store or call the helpful St. James Winery customer service team and have a variety of their wines shipped to your doorstep. This Burgers’ Smokehouse Applewood Smoked Bacon is unreal. Burgers’ Smokehouse developed their dry cure method (no water added, very few ingredients) over 50 years ago and have been serving it up the same since. The applewood flavor is subtle but is a very special touch to this apple-infused salad. Serve it on top of the Autumn Chopped Salad or save it for a special holiday breakfast. 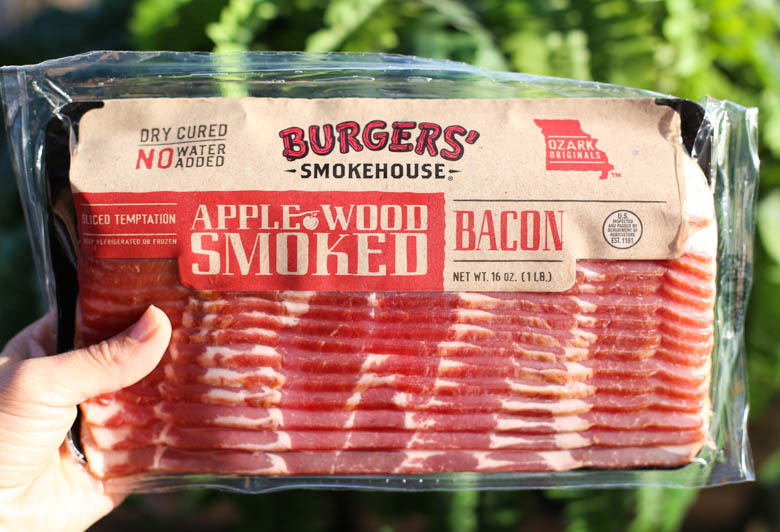 Find this bacon at Hy-Vee or your local grocery store or order online and have it delivered! 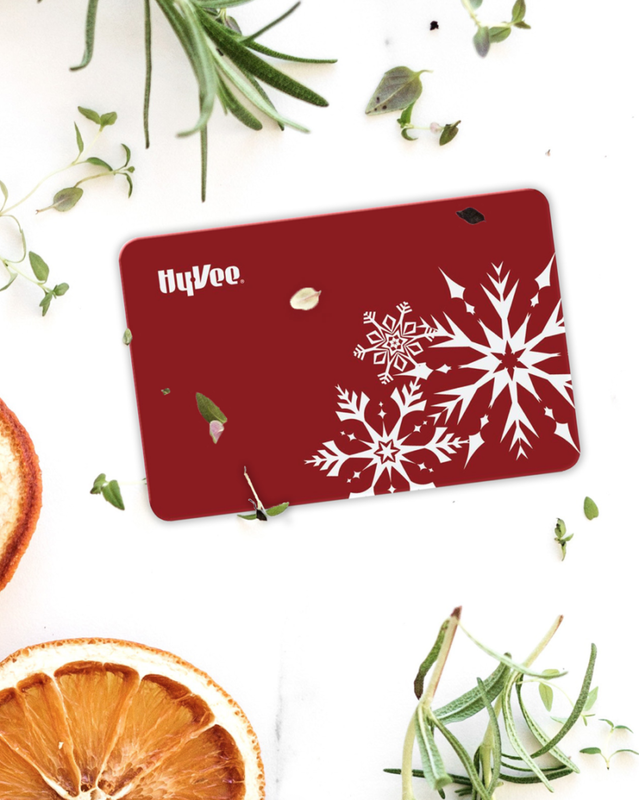 Use this gift card to add something extra special to your table this year. 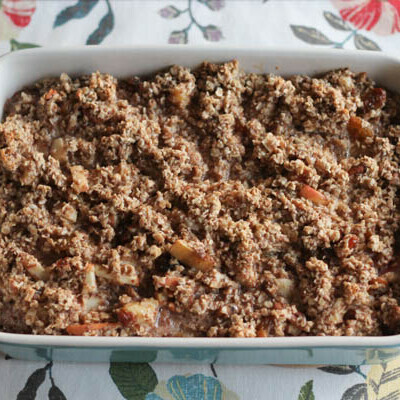 Splurge on that dessert or side dish you’ve been wanting to make for a while. Another idea is to use this to decorate your table with some seasonal greens from their floral department. So many options! 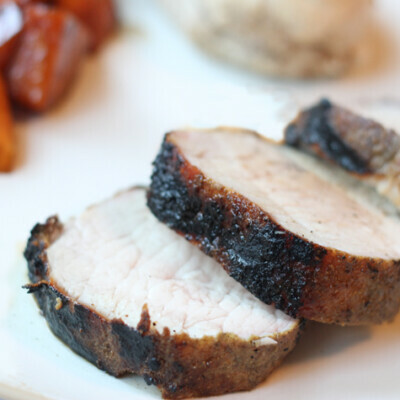 Take some of the stress out of the holiday season by prepping and freezing some delicious meals ahead of time. 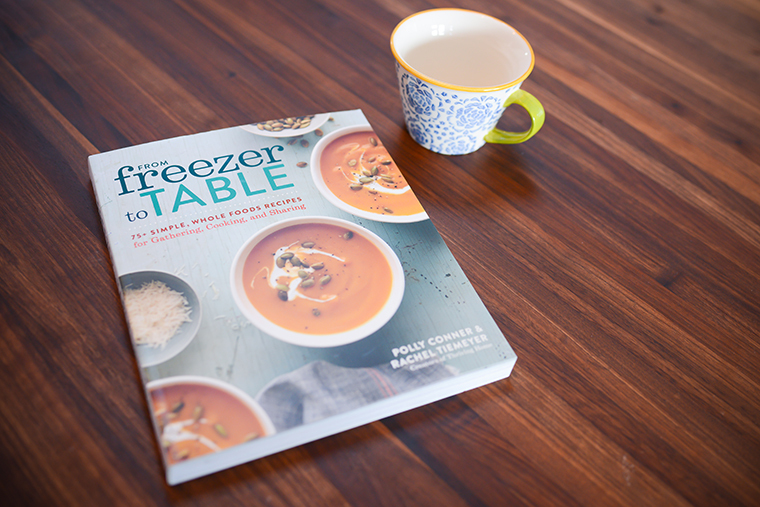 Using recipes from our cookbook, From Freezer to Table, will help you stock your freezer and free up more time for loved ones. Enter below using the Rafflecopter widget to earn multiple entries. Remember, we will select THREE winners to each receive one of each prize listed above (a $130 value)! We always get Burgers Ham for Christmas ! And we send gift of their pepper bacon to our son and family in AZ because they cannot get it out there . 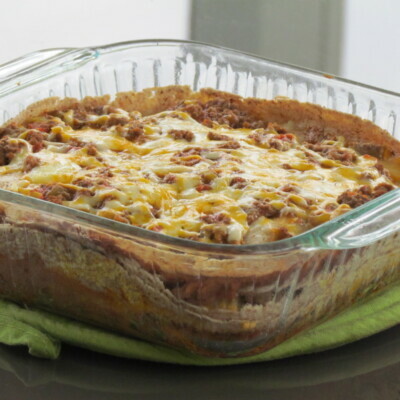 Love your recipes ! 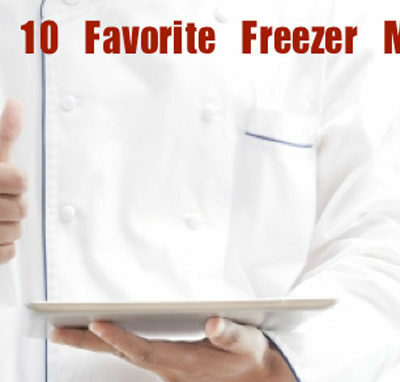 Have your Freezer Meal book and use it frequently. Awesome, Jane! How thoughtful for you to send that all the way to AZ. Glad you have gotten some use out of our cookbook too!